Riad Zamane Client Comments, Reviews and Testimonials. 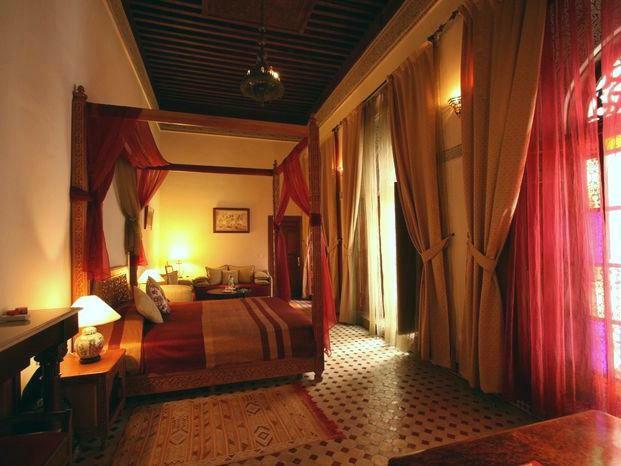 Book Riad Zamane Today with Hip Morocco - Holiday Accommodation in Fez, Morocco. 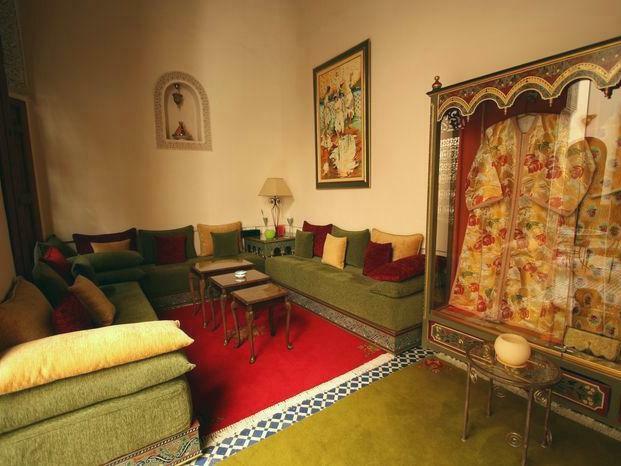 "Moroccan craft in a light and harmonious atmosphere"
The Riad Zamane, built early last century like its meaning in arabic language, has been restored with taste and attention to detail by her owner Mrs Sakina Belcadi native of Fez. 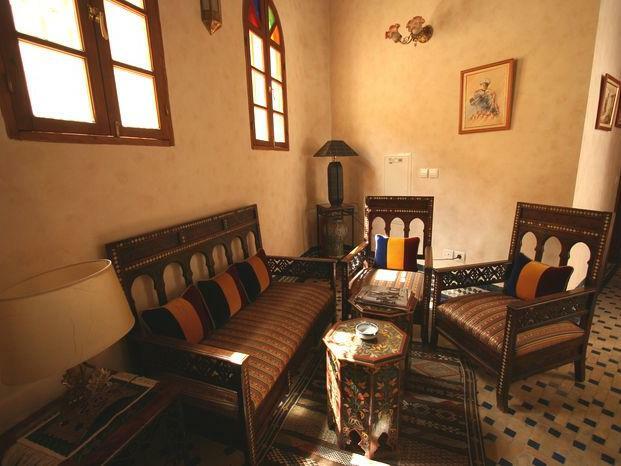 This luxurious house decorated according to tradition, marries authentic arabic art with design and sobriety. 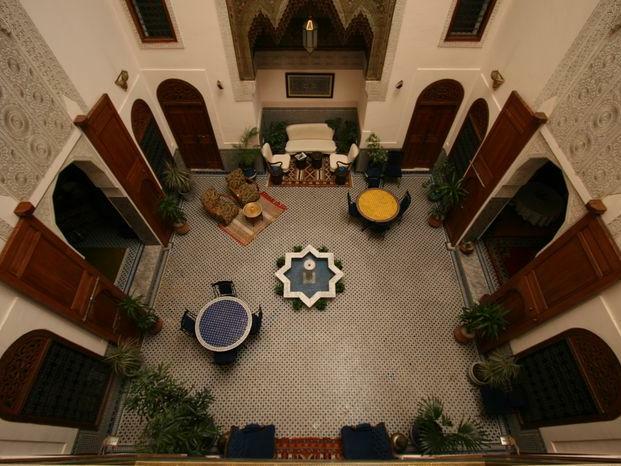 You will enjoy moroccan craft in a light and harmonious atmosphere, where your eye is always captivated by a new design or a decorative carved stucco. 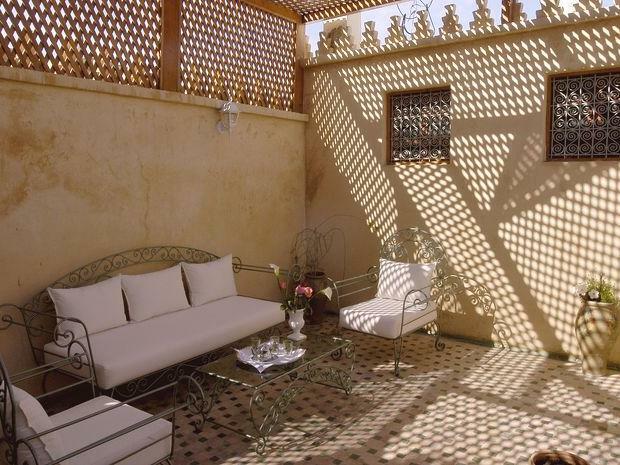 You will discover a refined moroccan cuisine served to your liking on the patio, moroccan salon or on the terrace overlooking the old city of Fez. The staff is trained to help you and to assist you in any of your demands and will enhance your stay in order to make it memorable. 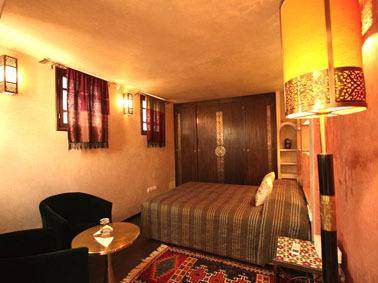 Located on the terrace floor, the warm tones of the Kenz Room are combined with oriental style and contemporary design. It is graced with a queen size bed, seating area, air-conditioning and heating, and ensuite bathroom with walk-in shower, hairdryer and bathrobes. Located on the second floor, the spacious and comfortable Ambre Room is adorned with a king-size bed with a carved wood headboard. It is complete with a living area, air-conditioning, heating, and ensuite tadelakt bathroom with a stylish walk-in shower, hairdryer and bathrobes. 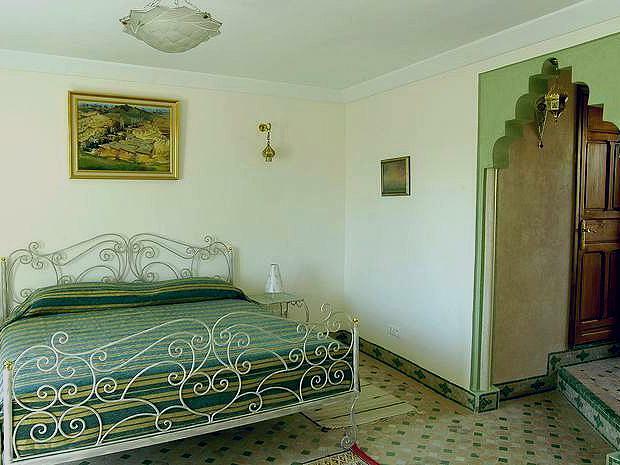 Located on the top floor, this pale green suite is a charming place to relax. It features a king-size bed, living area, dressing area, air-conditioning and heating, and ensuite bathroom with bath, hairdryer and bathrobes. This delightful Suite is complemented by a private terrace, perfect for long summer nights or spring breakfasts. 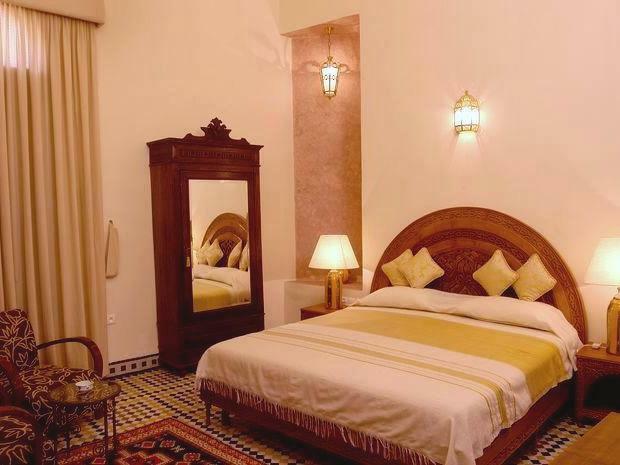 Located on the first floor, the delightful Warda Suite overlooks the Patio, it has two separate areas, the bedroom with twin beds and a comfortable living room. 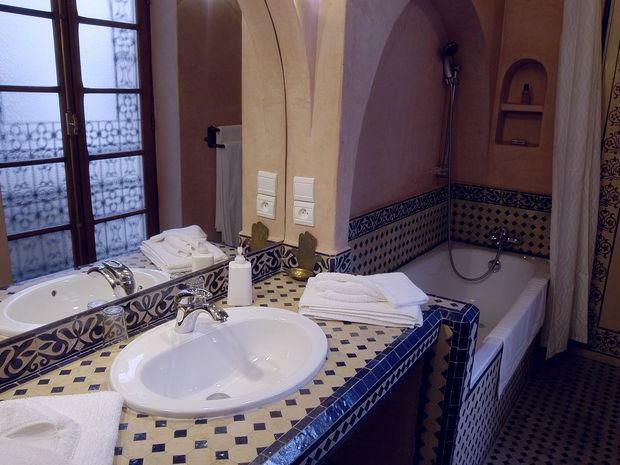 It features exquisite hand-crafted furniture and an ensuite tadelakt bathroom with walk-in shower, hairdryer and bathrobes. 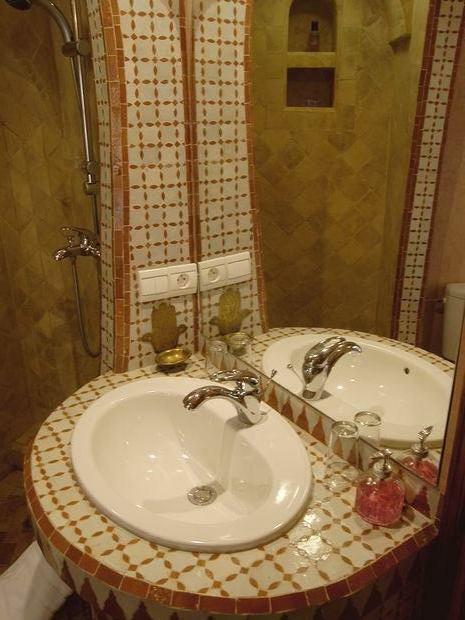 Complete with air-conditioning and heating. Located on the second floor overlooking the Patio, this stylish and modern Blue Suite features a king-size bed with a painted wooden head board, original ceiling and carved stucco work. It is complete with a comfortable living area, dressing area, air-conditioning, heating, and ensuite bathroom with bath, hairdryer and bathrobes. Located on the second floor overlooking the Patio, the Red Suite is graced with luxurious appointments, original ceiling and a four-poster king size bed in carved wood. It is complete with a comfortable living area, dressing area, air- conditioning and heating, and ensuite bathroom with bath, hairdryer and bathrobes. Perfect for honeymoon couples or those looking for a romantic break. 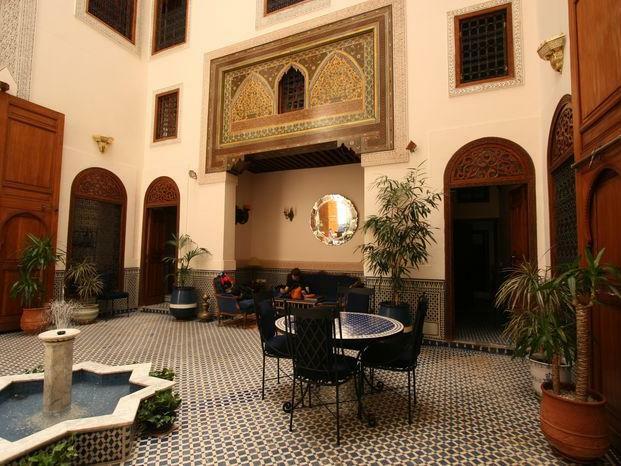 The base rate price at Riad Zamane is in pounds, euros, or Moroccan dirhams and exchange rates are approximate.